Weaving Influence is more than just a digital marketing agency. We are a network of online communities that work together to support and provide valuable content for companies, leaders, authors, and any professionals interested in growth and networking. Learn more about our communities, who they serve, and how you can get involved. Would you love to receive the best new business leadership books in advance of their publication? Do you want access to exclusive content from the author for use in company learning resources? As a Corporate Champion, you gain early access to the latest releases in the business book world and an opportunity to make a difference in your organization by bringing innovative leadership strategies to the table. We offer corporate readers free access to the most impactful business and leadership books so you can read, review, and consider for use within your own organization. Sharing the book through your personal or company social media channels (we make it easy). Writing a review on Amazon when the book is released. Championing the book within your organization by sharing it with others, hosting content from the author in internal newsletters or other communications, and inviting your colleagues to our free webinar event. You’ll have the opportunity to make a difference in your organization by bringing cutting-edge leadership/business strategies. You’ll receive excellent books in advance of their publication. You’ll have access to exclusive content from the author for use on your personal or company blog. You’ll build your network through meaningful connections with top business authors. 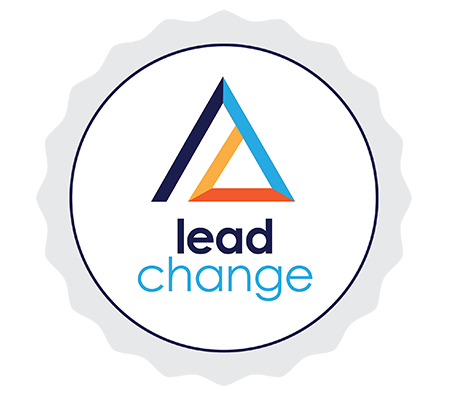 Lead Change is a leadership media destination with a unique editorial focus on driving change within organizations, teams, and individuals. Lead Change inspires readers to boldly step up and serve wherever and whenever leadership is needed, and provides real, concrete advice on how to grow. Written for, by, and about top leadership and business professionals, Lead Change has been a top source of leadership learning since its founding. Team Buzz Builder online influencers volunteer to leverage their own social media networks and blogs to amplify the message of our book launches. This support may include social media posting, hosting guest blogs, or interviewing the author for their blogs or podcasts. Our TBB network plays an integral part in our book launch strategy. To show our appreciation for their support, we promote Team Buzz Builder member blogs, guest posts, and books they’ve published themselves through our own Twitter channels, blogs, and newsletters. When you share your Twitter handle, we’ll add you to our Twitter list. You may receive advance copies of books to review or quality guest posts to share on your website. We will send emails with information about our latest projects, authors, books, and promotions. We may send occasional additional emails to remind you of launch celebrations. We will not flood your inbox with messages. We will not sell or share your email address ever, and you can opt-out at any time. Free books for every launch you join (in PDF format, when available, for our international community). Internal community building on our TBB Facebook page. Ability to connect with authors in the leadership and business worlds. Opportunities to guest post on the Weaving Influence and Lead Change Group blogs. Unique content from leadership and business authors to use on your blog or LinkedIn account. Invitations to our FREE webinars with top thought-leaders and authors.